Limited Time Only £229.99 (VAT Inclusive) — An Amazing Value! Lock in these FREE Bonuses — A £196 Value! In this exclusive Q&A call recording, Dr. van der Kolk addresses questions directly from course attendees and shares additional trauma treatment insight. Register for this engaging and experiential online course without risk. If you're not completely satisfied, give us a call at 01235847393. We're that confident that you'll find this learning experience to be all that's promised and more than you expected. 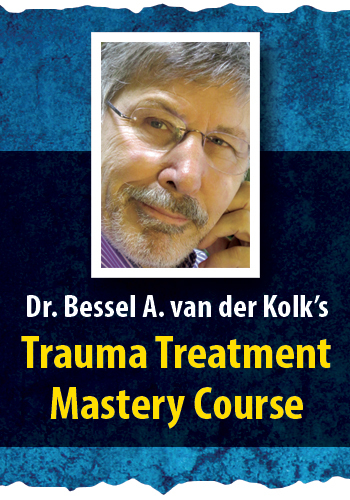 Over 27 hours of video training on the neuroscience, research and treatment of trauma, featuring Dr. Bessel A. van der Kolk and select leading trauma experts. Click here for course objectives and outline. Mark your calendar for the Live Q&A Call with Bessel on April 9, 2018, for additional trauma treatment insight and answers to questions for course participants. 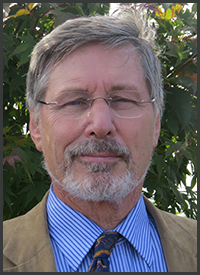 Bessel van der Kolk, MD, has spent his career studying how children and adults adapt to traumatic experiences, and has translated emerging findings from neuroscience and attachment research to develop and study a range of potentially effective treatments for traumatic stress in children and adults. His efforts resulted in the establishment of Trauma Center, that consist of a well-trained clinical team specializing in the treatment of children and adults with histories of child maltreatment, that applies treatment models that are widely taught and implemented nationwide, a research lab that studies the effects of neurofeedback and MDMA on behavior, mood, and executive functioning, and numerous trainings nationwide to a variety of mental health professional, educators, parent groups, policy makers, and law enforcement personnel. Dr. van der Kolk is the author of the New York Times best-selling book The Body Keeps The Score.